First recorded by The O’Jays (1973). Hit versions by Third World (US #47/UK #10 1977), Heavy D & the Boyz (US #11/R&B #5/UK #2/AUS #6/NETH #2/NOR #10 1991). First recorded by Brenda Holloway (1963). Hit versions by Brenda Holloway (US #13/R&B #3 1964), The Spencer Davis Group (UK #41 1965). Also recorded by The Clash (1980, released 1991), Alicia Keys (2005). First recorded by Jackie Moore (R&B #92 1978). Hit versions by Karla Bonoff (US #19/MOR #3 1982), Ronnie McDowell (C&W #10 1983). First recorded by The Intruders (US #78/R&B #14 1966). Hit version by Peaches & Herb (US #46/R&B #11 1968). From the wiki: “The Intruders were one of the first groups to have hit songs under the direction of Kenny Gamble and Leon Huff (Harold Melvin & The Blue Notes, The O’Jays), they had a major influence on the development of Philadelphia soul. In 1965, when songwriters and record producers Kenny Gamble and Leon Huff first contemplated leaving the Cameo-Parkway record label to risk launching their own label, the vocalists on which they pinned all their hopes and venture capital were The Intruders. Gamble and Huff’s success with The Intruders helped convince Columbia Records to grant them the money to launch Philadelphia International. ‘(We’ll Be) United’ was the first charting song for The Intruders, peaking at #14 on the Billboard Soul chart, and #78 on the Billboard Hot 100, in 1966. First recorded by The Rubber Band (1966). Hit version by James & Bobby Purify (US #23/R&B #18 1967). 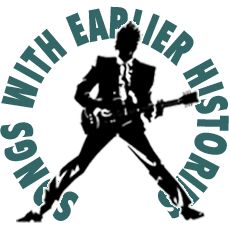 From Songfacts.com: “‘Let Love Come Between Us” was written by Joe Sobotka and John Wyker, of the Alabama group The Rubber Band, and first recorded by the group in 1966. The song would later be covered by James and Bobby Purify (‘I’m Your Puppet‘) and achieve chart success a year later. The Rubber Band was fronted by Johnny Townsend, who later had a hit with ‘Smoke From A Distant Fire’ as half of the Sanford-Townsend Band. First recorded by Smokey Robinson & the Miracles (US #23/R&B #13 1967). Other hit version by Kim Carnes (US #10/MOR #6 1980). From Songfacts.com: “In the book Where Did Our Love Go? : The Rise and Fall of the Motown Sound, Smokey Robinson explained that he wrote ‘More Love’ for his wife Claudette, and it’s one of his most personal songs. Claudette had a series of miscarriages and gave birth to twins who were stillborn. She felt like she was letting Smokey down, and he wrote this song to let her know how he felt. ‘I wanted to reassure her that I was cool no matter what happened, because I still had her,’ Robinson explained. Claudette had left The Miracles a few years earlier, but she returned to sing backup on this track.